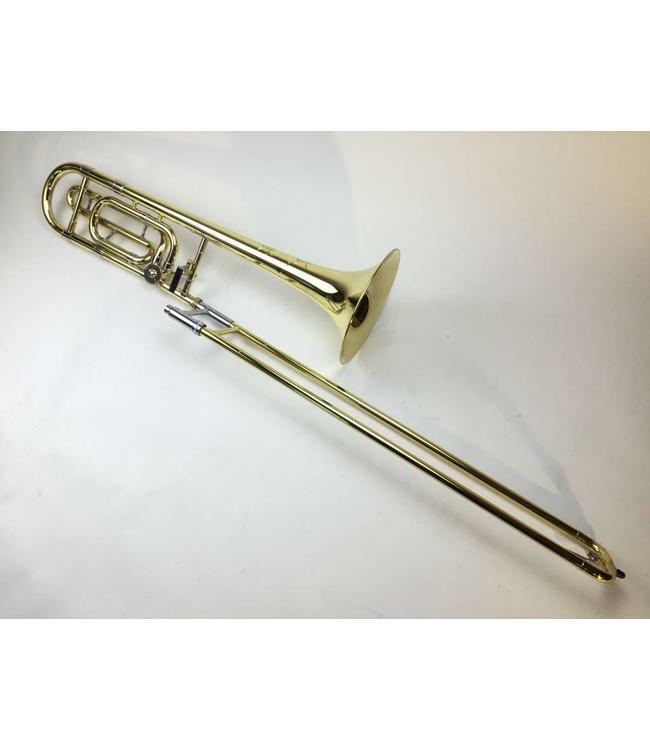 Used Bach TB200B “Step-Up” Bb/F Tenor Trombone in lacquer. .525” bore, closed wrap rotor valve section, 8” yellow brass bell flare. Instrument is in good condition apart from minor lacquer near contact points, dent and solder repair around hand slide crook, and minor dings throughout bell flare and tuning slide. Hand slide grip finger ring has been removed. Comes with Bach case.